You can always count on Jessica from How About Orange for a classy version of .... everything. 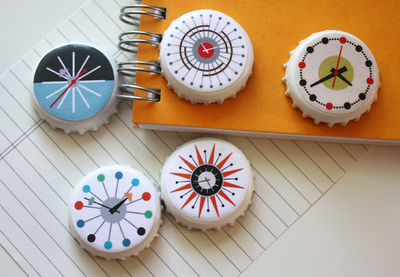 Her mid-century take on bottle-cap magnets. 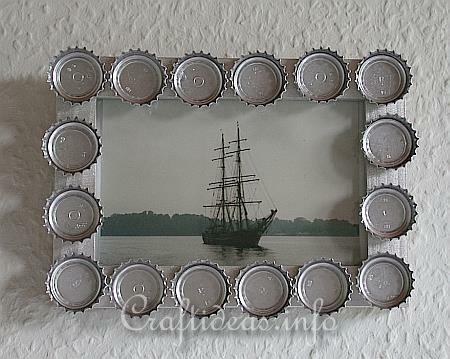 Bottle cap mosaic mirror ...I think it works because of the colors. 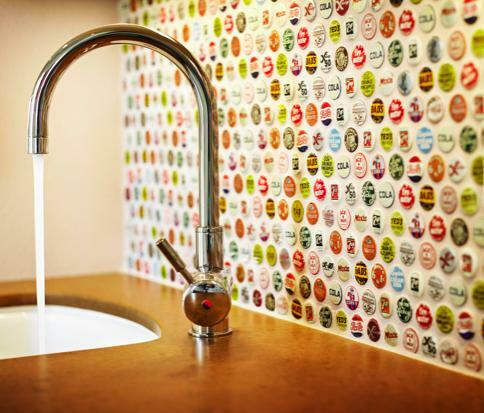 This bottle-cap backsplash has been ... er .... splashed all over the blogosphere for a reason. It rocks. 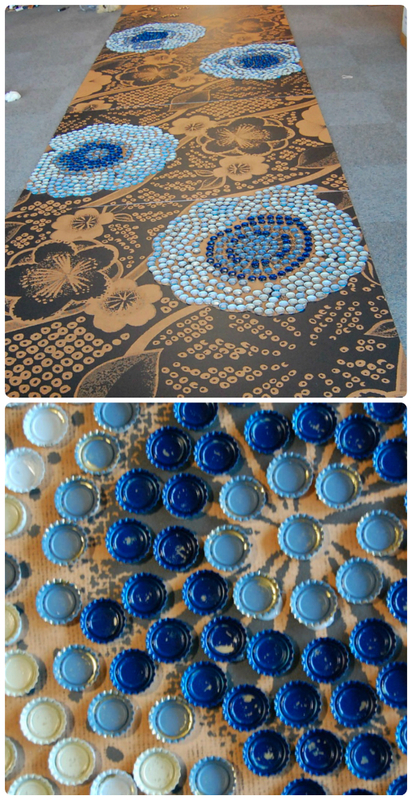 Old coffee table gets a new life care of bottle-caps, resin and a great eye for design. 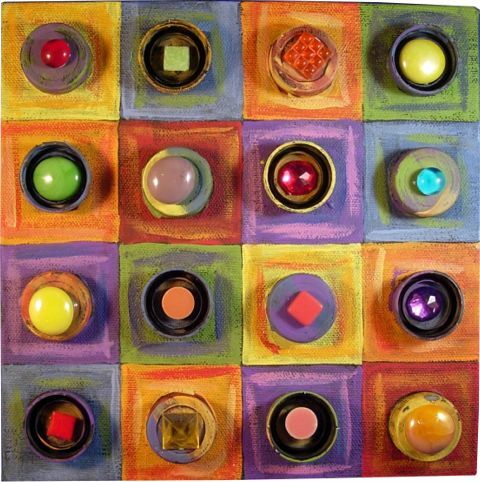 The image isn't great but I think this bottle-cap floor mosaic is really beautiful ... inspired by a Barney's window display. If you are not averse to a little crochet, this is a sweet trivet tutorial. 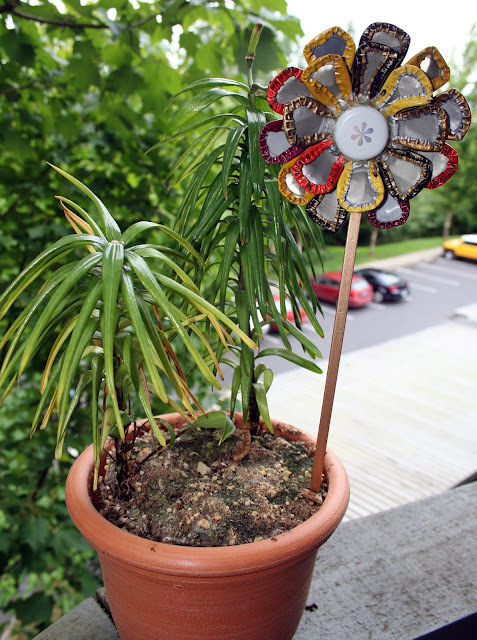 A little garden decor ... bottle-cap flowers care of ABirdInTheHand. 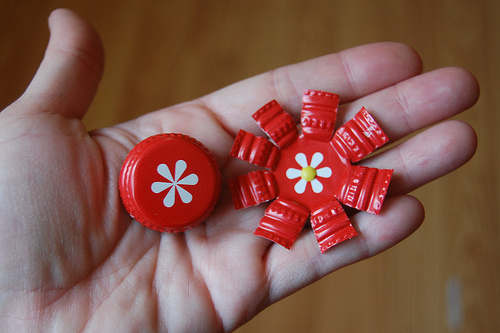 Simple, sweet bottle-cap flower idea ... an easy magnet or pin? 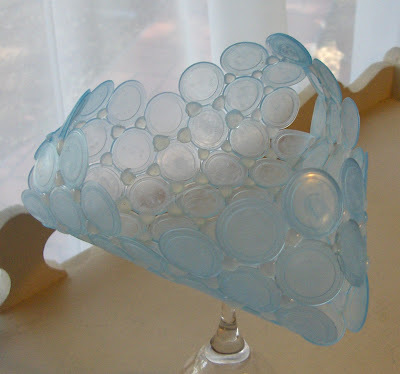 Moving on to a few plastic cap ideas ... you have to see more images of this bottle-cap bowl created by Jessica at Zakka Life. This is an actual tutorial ... how cool is that? 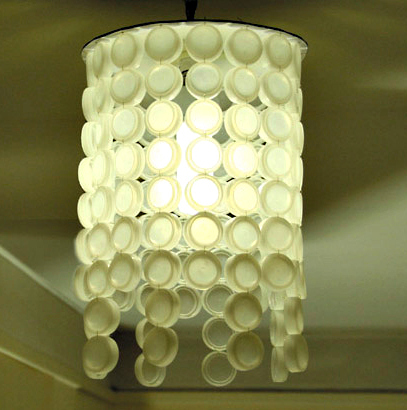 A bottle-cap lampshade? I think this one works. 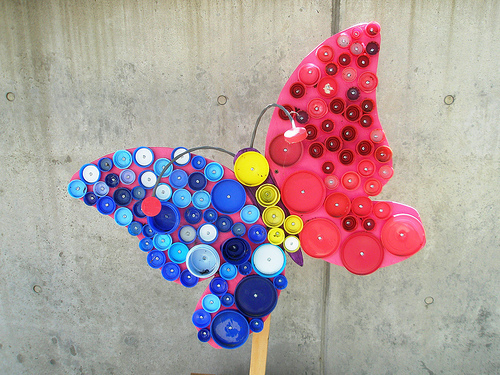 Bottle-lid art ... this time, plastic soda bottle tops. 10 comments on "Repurpose: Bottle-cap decorating ..."
Absolutely love the tray and the back splash, looks stunning. Oh I love all of these!! 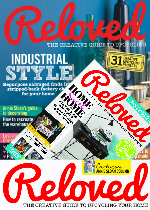 Some lovely ideas, I think I will try at home myself. Thanks for sharing all of these! These are beautiful! 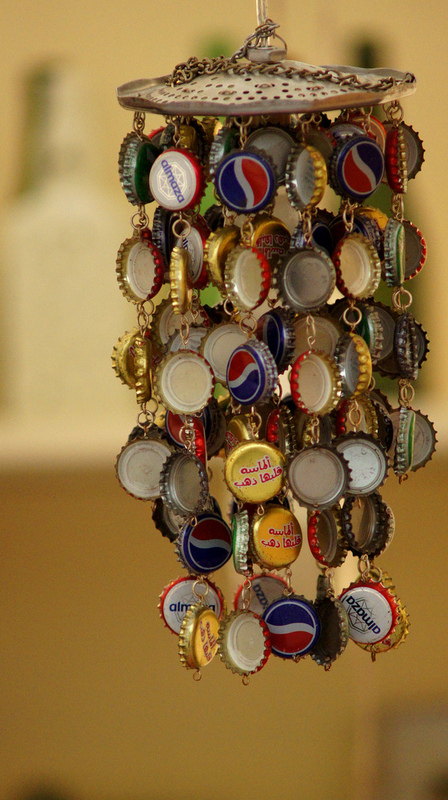 I have a bottle cap collection at home and my mom is really wanting me to make something of it. 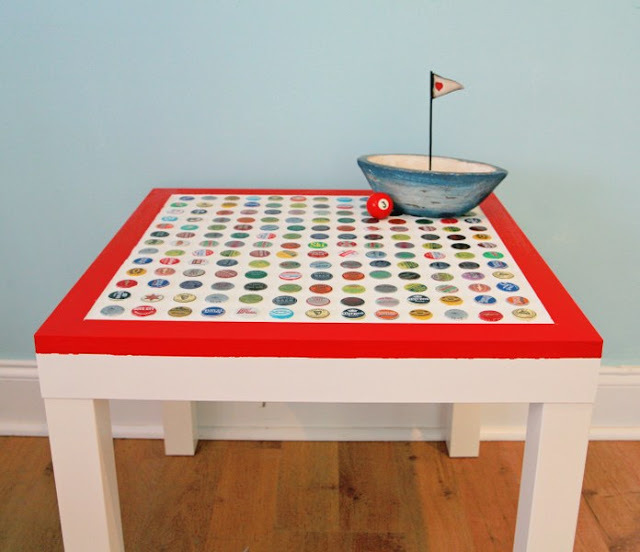 What did you use for the table to make the bottle caps stick? 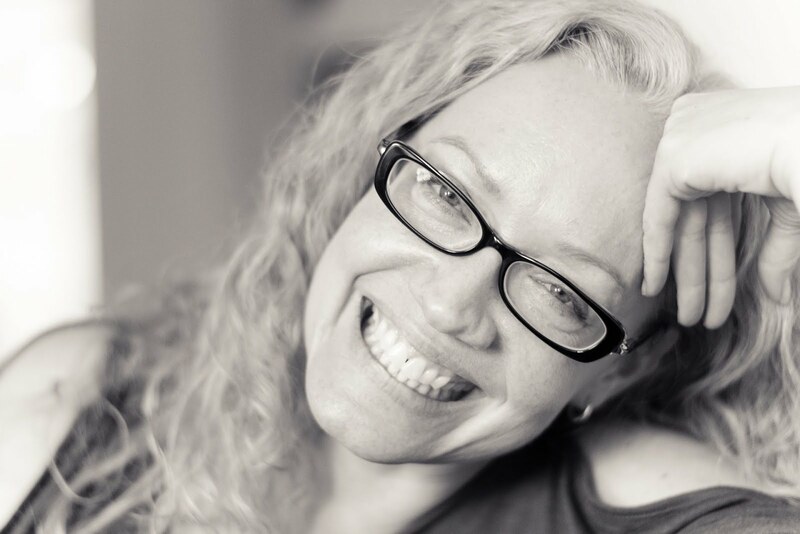 Hi Sophia - glad you found inspiration here! 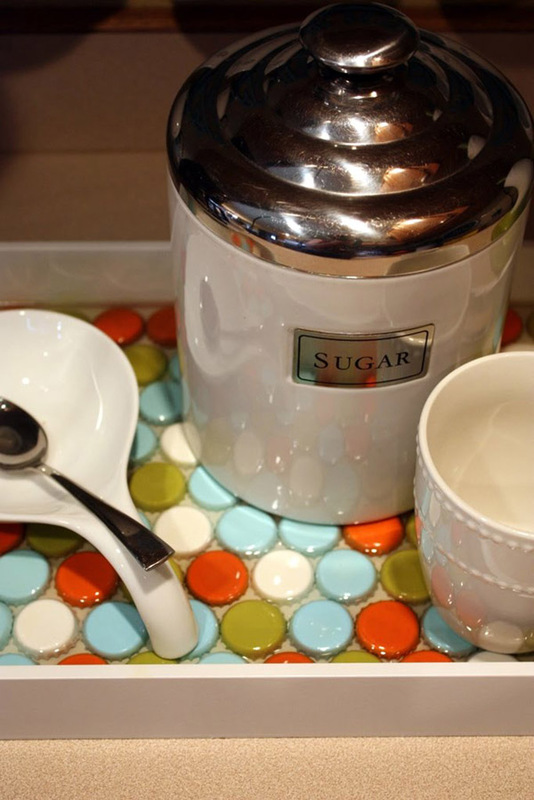 If you click through to the tutorial for the serving tray (and the table), you can read about how to use "acrylic water" and/or resin. In both cases, the caps are positioned (you could use any good glue) and then literally embedded in resin or acrylic. This keeps them in place and makes the tray/table surface durable. Perhaps start with something small (like a tray or coasters) before you take on a table? 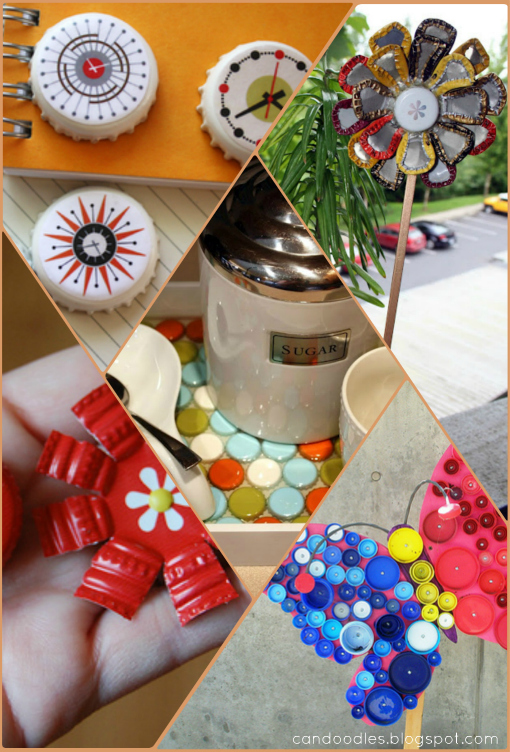 Thanks for featuring my bottle cap flower! you featured some other great projects too. Is there a tutorial for the bottle lid art? A materials list? 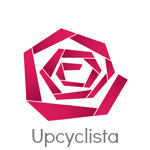 Love it!!! Hi there! I'm not quite sure which picture you're referring to - perhaps the outdoor art? I have linked to the original source in every case ... many are tutorials but not all. Sorry! Thanks for sharing the bottle liner bowl with your readers. Great round-up.